Looking for that perfect transitional piece to carry you from the spring to summertime? Look no further, I got a great one for you. 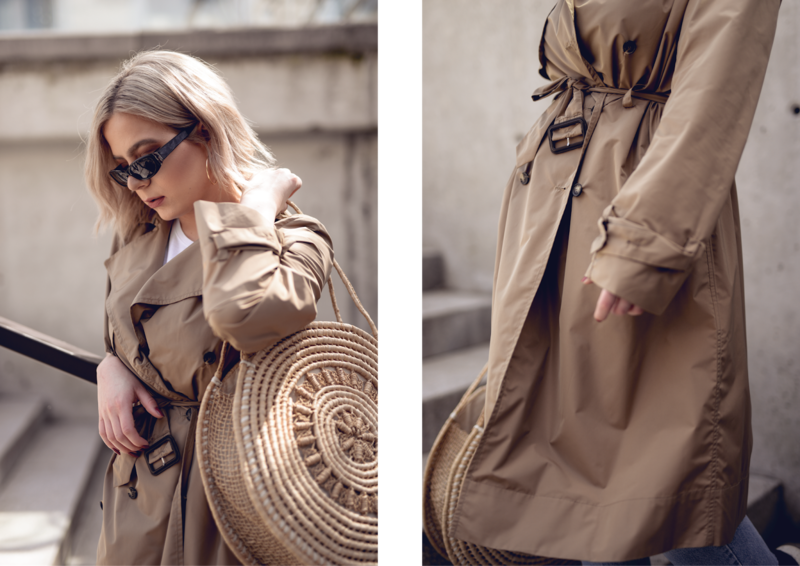 Trench coat is a staple wardrobe piece for everyone, and I mean EVERYONE. When the nights get really cold in the summertime, when it's raining or when simply want to wear it on its own. You can dress it up or dress it down - for meetings, school or shopping. 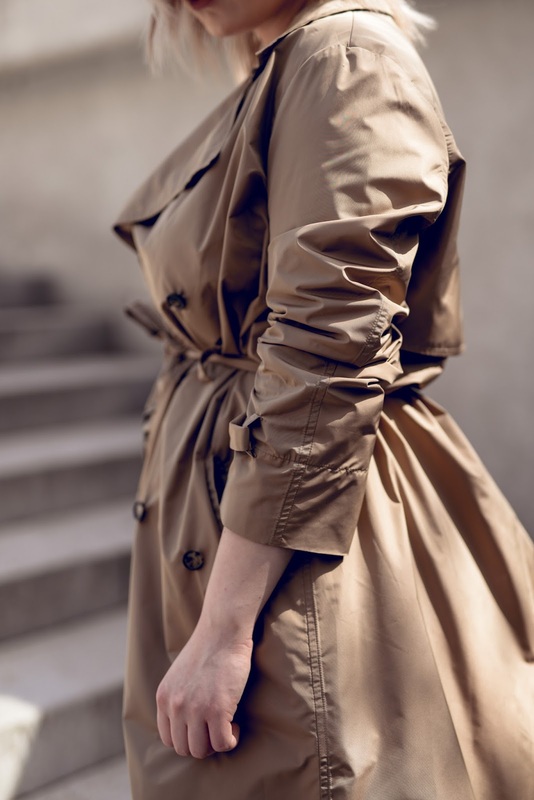 In my opinion you can never go wrong with a nice trench coat. 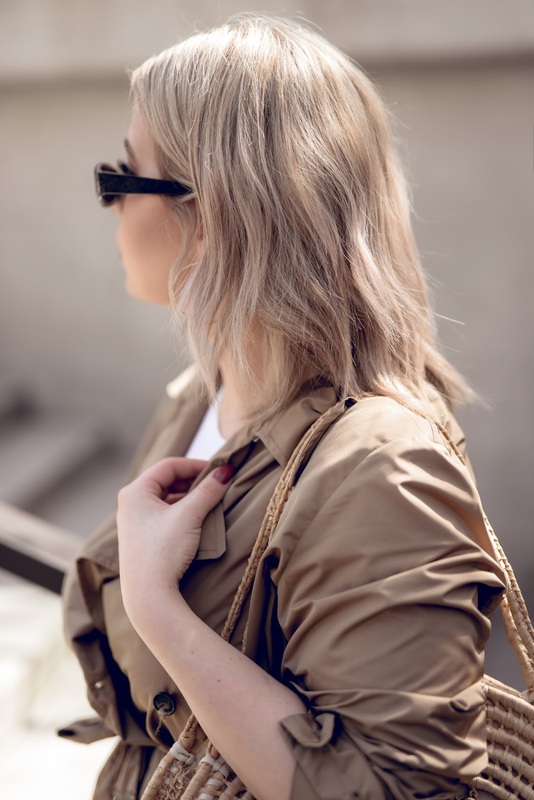 Yes, the obvious choice may be Burberry when it comes to trench coats, but the highstreet as well as other brands have brought out so many variations of this staple coat (as one of the main trends of S/S 2018) that I simply wouldn't want to limit myself to just one brand. There are so many options out there, you just have to find the one that suits your style best. This one is from Kenzo and it's the lightest coat I've ever worn. 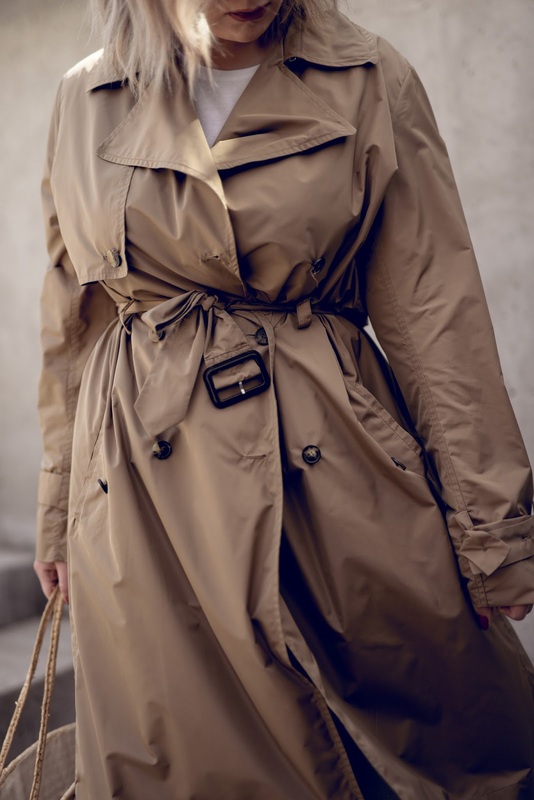 I also prefer to wear my trench coats belted so that my shape doesn't get lost under all that material. 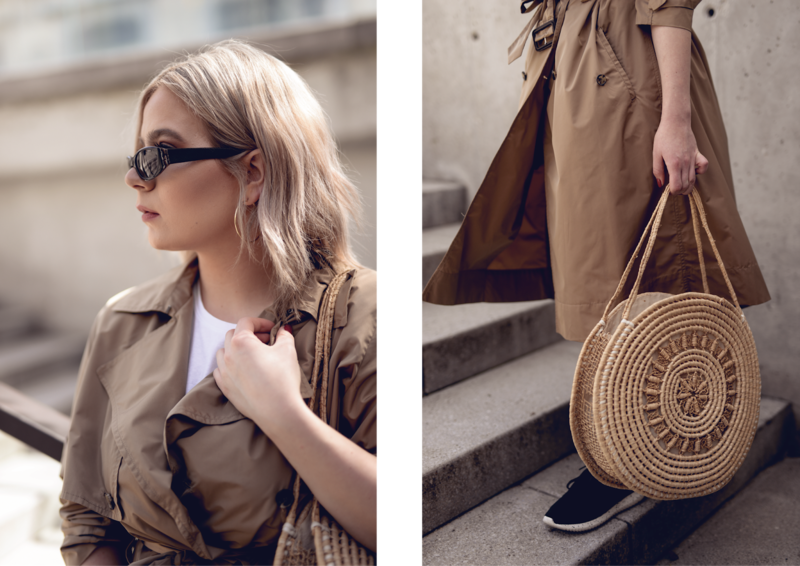 Because I adore absolutely streetstyle, I decided to style it a bit casual with a pair of lightwash vintage jeans, a simple white tee from H&M, Adidas black trainers and finished everything off with a vintage straw bag and small (frame) sunglasses. 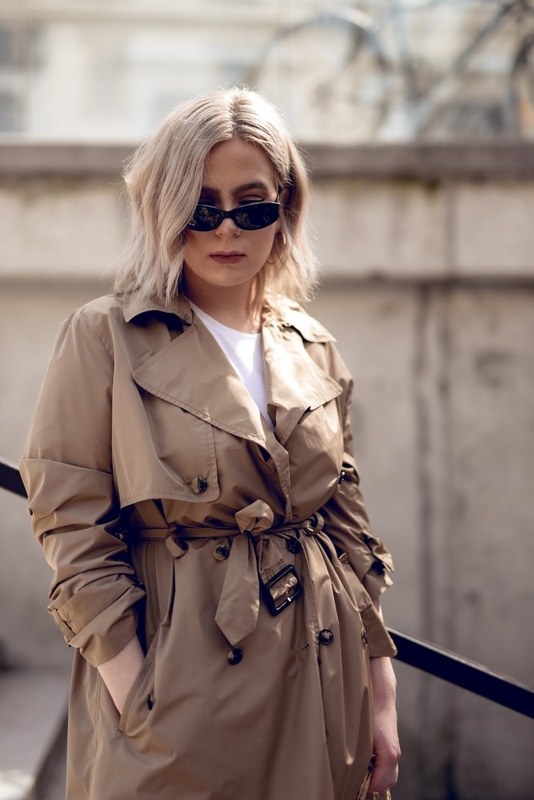 wearing: Kenzo Trench, vintage jeans / sunglasses / bag, H&M t-shirt, Adidas trainers.